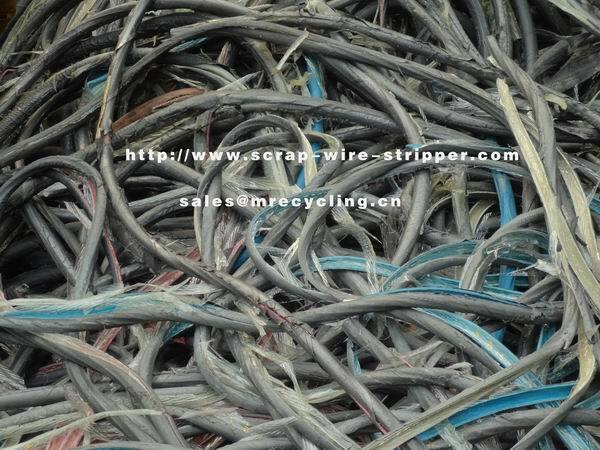 An environmentally safe way to remove wire insulation,Designed for Electricians, Demolition Companies, Supply Houses, and Recyclers. 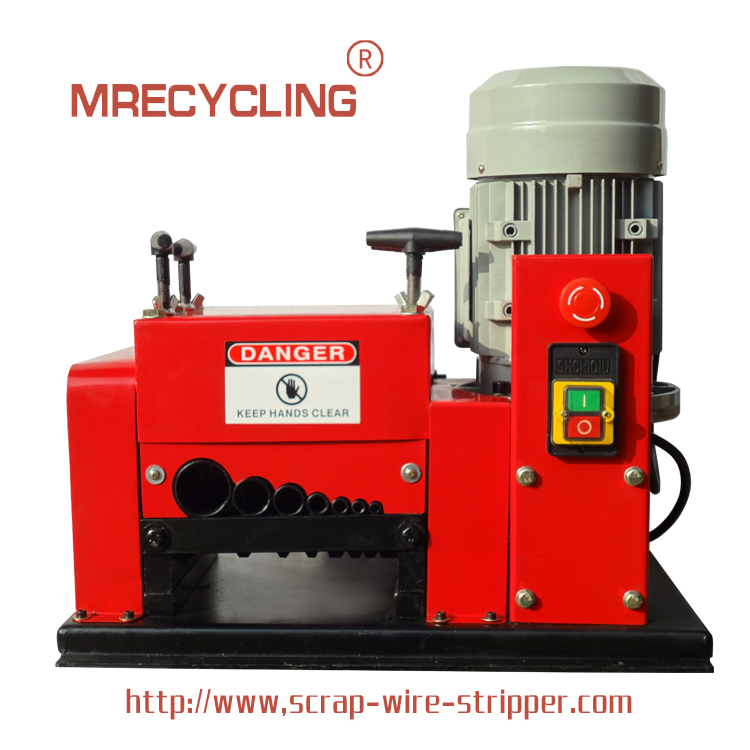 This wire stripper is a bench mounted machine that grips the wire from one side and cuts and removes the insulation from the other simultaneously.Recycle the copper and aluminum wires. 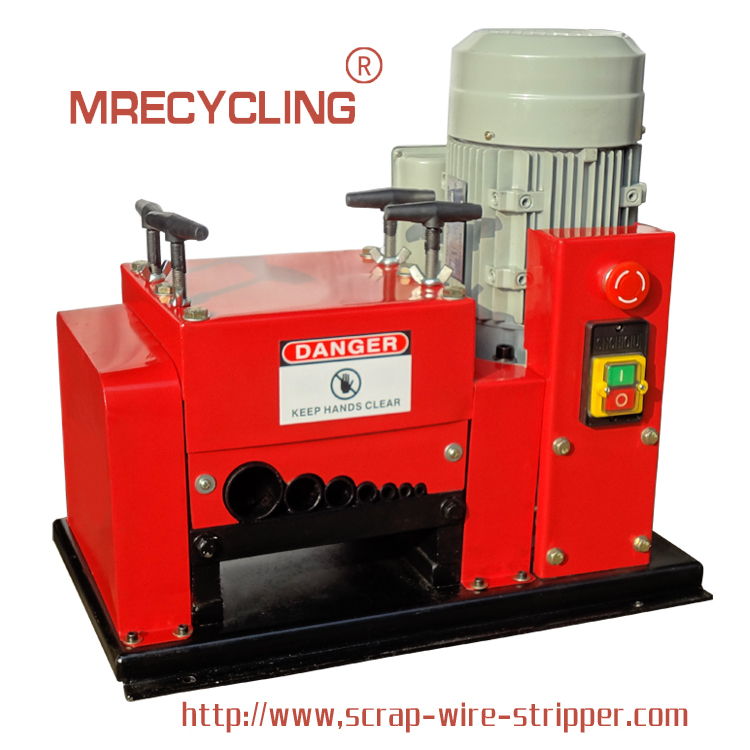 *Once the machine is set for one size of wire,you can strip that size continuously,without adjusting your machine. 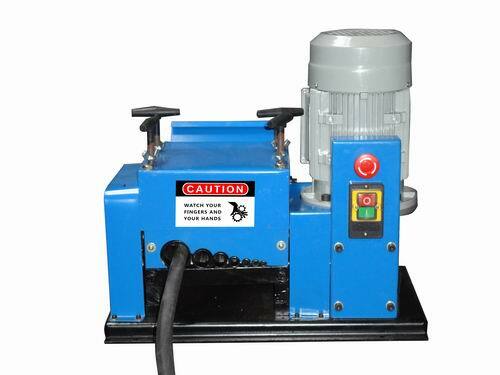 *Industrial on-off switch with separate Emergency Stop Button. 1.If there is an anomaly: when the knife peels the side or the cable is not cut tighten the upper tension bolts which faces the problem; press the setting screw tightly, adjust the knifepoint in the right place, try peeling the cable again until you reach the ideal result, then tighten the screw bolt. 2. If line core in the cable is deeply cut, please adjust the loosen the upper pressure setting screw, if this is not possible (as you`re already in the largest channel and the knifes are still cutting deeply into the metal) adjust the lower mandrel setting screw (which will raise the upper cutters/rollers), put the knife axes up tightly to the desired place (make sure that both the left and right sides rise or fall at the same time in order to keep the knife and main axes level). Looking for ideal Insulated Hand Tools Manufacturer & supplier ? We have a wide selection at great prices to help you get creative. 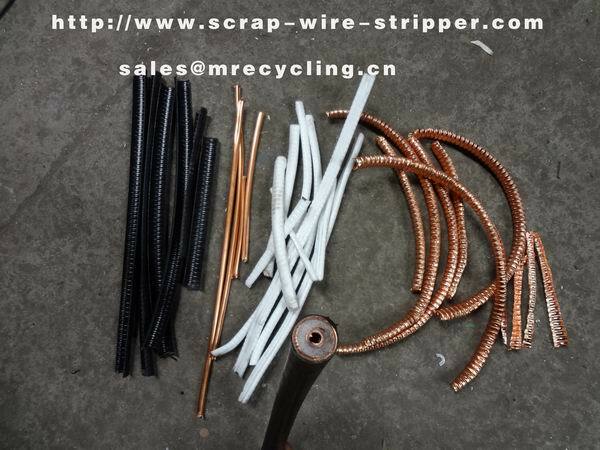 All the How to Make a Wire Stripper are quality guaranteed. 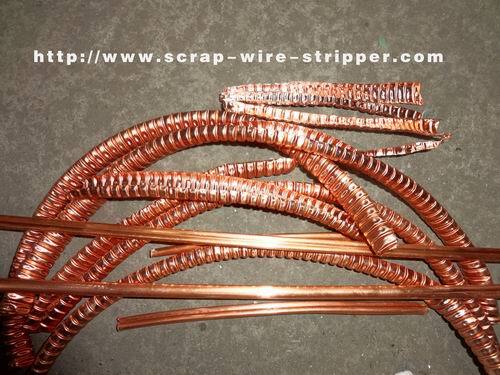 We are China Origin Factory of Striping Copper Wire. If you have any question, please feel free to contact us.